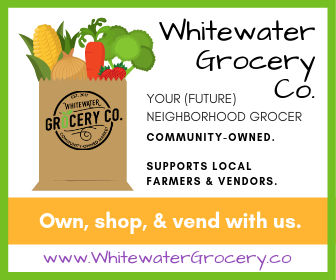 The Whitewater Historical Society will have meetings with programs the third Sundays of September, November, January, and May 2018-2019. The March 2019 meeting will be the society’s annual event, Whitewater Collects, and will be on a Saturday in March. All meetings and events will be held at the Lakefront Community Center near the depot museum. 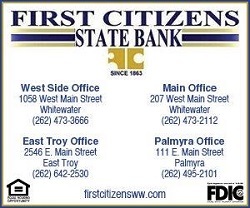 All Meetings are Open to the Public. Sunday, September 16, 1:00-3:00 p.m.
Sunday, November 18, 1:00-3:00 p.m.
Sunday, January 20, 1:00-3:00 p.m.
Each meeting will have a program and will include one of the following topics: UW-Whitewater, 150 years; Whitewater Recollects–Town and Gown–UW-Whitewater and the Community; Genealogy Workshop–Begin to Research Your Family History; Whitewater Collects; and the Whitewater Historical Society’s digitized photographs. 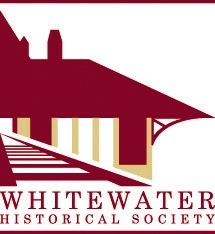 The Whitewater Historical Society’s first meeting of the 2018-2019 season will be held on September 16, from 1:00-3:00 pm at the Lakefront Community Building, Whitewater Street. 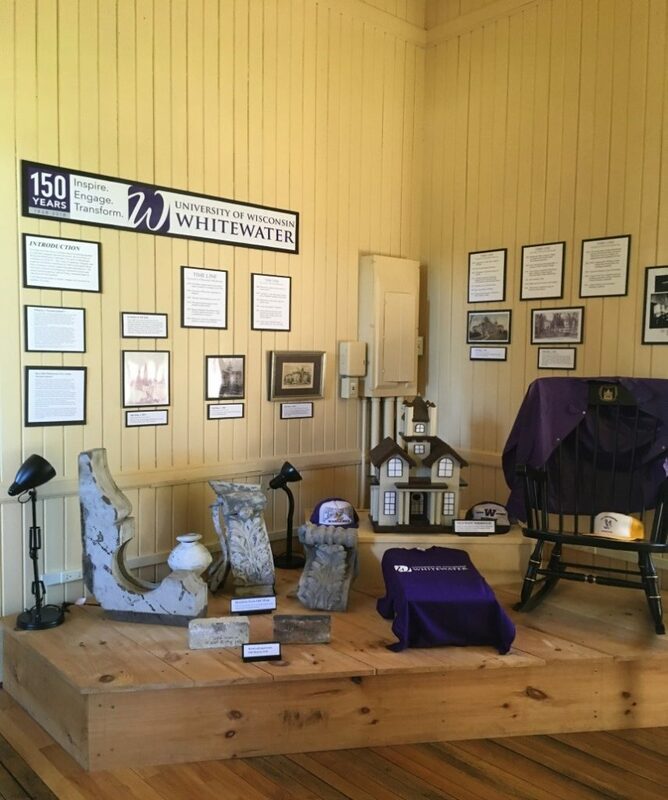 Karen Weston, recently retired Archivist at the University of Wisconsin-Whitewater will give a presentation about the history of the university and how it was interpreted in the historical society’s latest temporary exhibit at the depot museum. The program is open to ALL members of the public! Refreshments are always served.